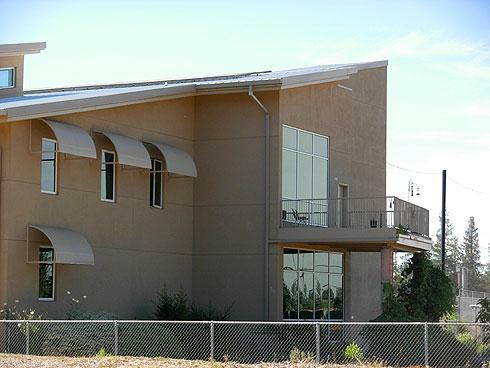 Opened in September 2005, the Kirsch Center is the lead demonstration building for energy innovation and sustainability in the California Community College system, rated as the first community college LEED platinum building in the nation. 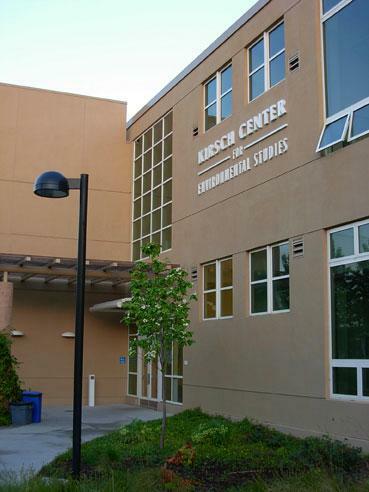 The Kirsch Center was conceived and is operated by De Anza faculty, staff and students, with the philosophy that this facility is "a building that teaches about energy, resources and stewardship." 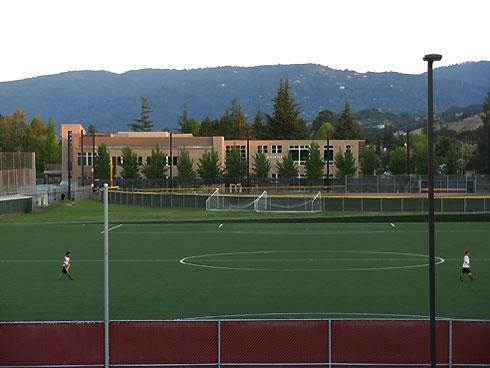 The Kirsch Center was conceived, funded, designed and built through a collaborative effort. 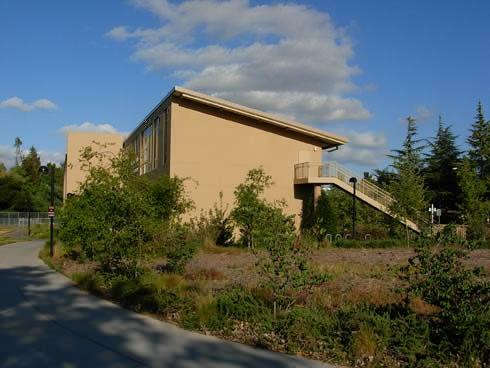 The De Anza Associated Student Body (DASB) provided $180,000 for the building’s conceptual design. The Steve and Michele Kirsch Foundation contributed $2 million toward construction. The remainder of the $10-million project was paid for with local bond funds. The Morgan Family Foundation gave $3 million to endow the Morgan Family Chair in Environmental Studies. Today the building is a living teaching space for students to learn about environmental stewardship, pollution prevention, sustainability, energy and resource management, and teaming with the broader community to make a difference in many ways. The area of the two-story building is approximately 22,000 gross square feet. At the time it was built, this project exemplified the next generation of educational innovation. Parts of the building are potentially an around-the-clock, 24/7 facility. In addition to high quality classrooms and labs, students can work in self-paced programs at special open study stations throughout the building. 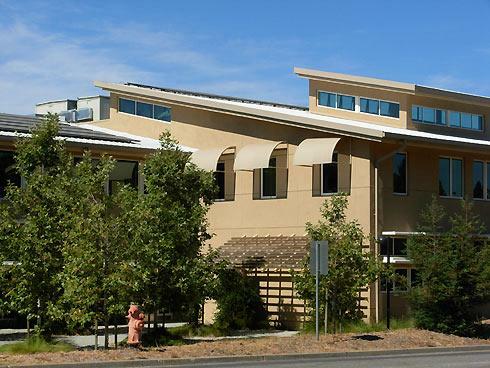 Learn more about the energy goals and other features that make the Kirsch Center a favorite place for students to learn about how to be part of the solution in building a sustainable society. Click on any image to view a larger version and to open the gallery of Kirsch Center photos. Students and the public are always welcome to visit the Kirsch Center during normal working hours! Please contact us to arrange a special tour or to ask about our programs. 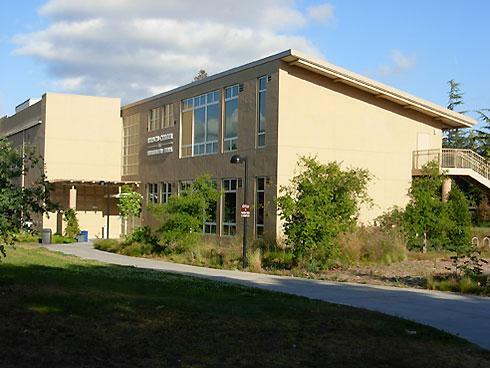 The Kirsch Center is located near the south entrance to De Anza College near parking lot D. Visit our campus map for directions.